Aluminium is such a strong material that less of it is needed to maintain structural strength when compared with modern products. This means that our aluminium bi-fold doors feature a low frame-to-glass ratio that will make your home in Braintree lighter and brighter. The extensive amount of glass used in the design of your doors will also translate into better views of the outside all year-round. Our aluminium bi-fold doors can be used for your home improvement project or as part of a conservatory, orangery or house extension project. When fully opened, your double glazing will ventilate your chosen space to keep it cool during warmer weather, and also prevent condensation from appearing. Aluminium bi-fold doors open to almost threshold length, resulting in wider views. 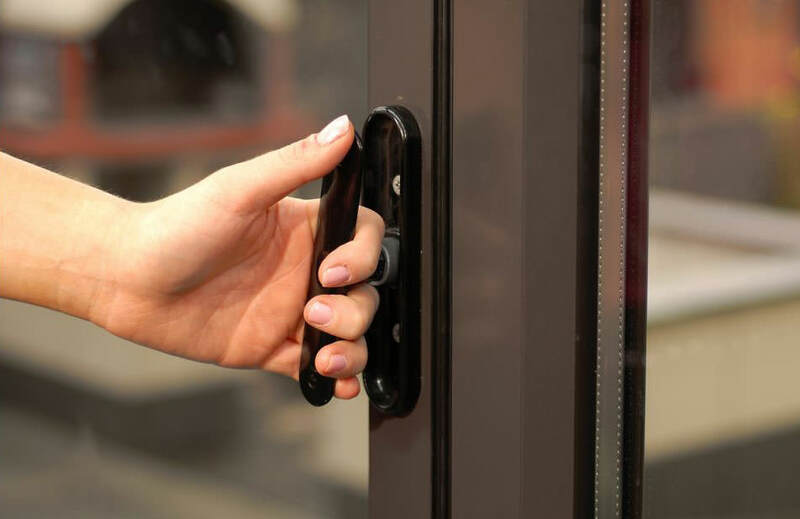 Our doors won’t warp or rust in response to harsh weather, so your doors will last. Create a door that looks and performs the way you expected it to using a range of options. Because aluminium bi-folds open wide, people will be able to come and go as they please when visiting. 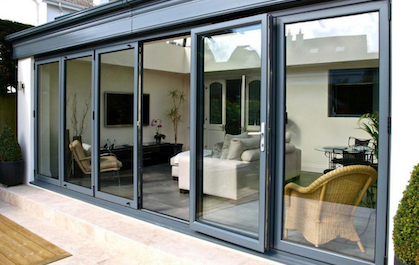 Aluminium bi-fold doors create minimal sightlines that will make your home appealing to buyers. Choose a concertina door to suit your home improvement budget by talking to our team. Bluemanor has chosen to work with AluK as one of its main aluminium bi-fold door partners. When you choose us for your home improvement project in Braintree, you’ll be able to enjoy double glazing that includes features like a pop-out handle, and which has been PAS 24 to ensure outstanding security. Your new aluminium bi-fold doors will achieve a U-value of 1.7, making your home warmer and more efficient to heat. The minimal sightlines created by your door’s profile will make your home stand out. You’ll also be able to customise your installation using a dual colour, internally and externally. Contact us for details. To give our customers as much choice as possible, we’ve teamed up with SMART aluminium – a market-leading manufacturer of door systems. Each entry in our SMART range includes a polyamide thermal break as standard, resulting in outstanding thermal performance, lower U-values and reduced running costs. Security is delivered my modern multi-point locking mechanisms that will prevent most attempts to gain unauthorised access. A choice of threshold options is available that will allow you to welcome anyone into your home in Braintree. You’ll be able to complete the appearance of your new aluminium bi-fold doors with a choice of standard or non-standard colours, including wood and metallic finishes – as well as dual colour options. The shape of your double glazing can be perfected using square or rounded edges for a more personalised design. Your thermally efficient aluminium bi-fold doors will keep your home, conservatory or extension the perfect temperature year-round. Your installation will benefit from a lower U-value and reduce your running costs. Our doors do not contain lead, which means you can buy your double glazing from us with confidence. You’ll be able to enjoy a modern design that won’t impact on your health and will add market-appeal to your home in Braintree at the same time. 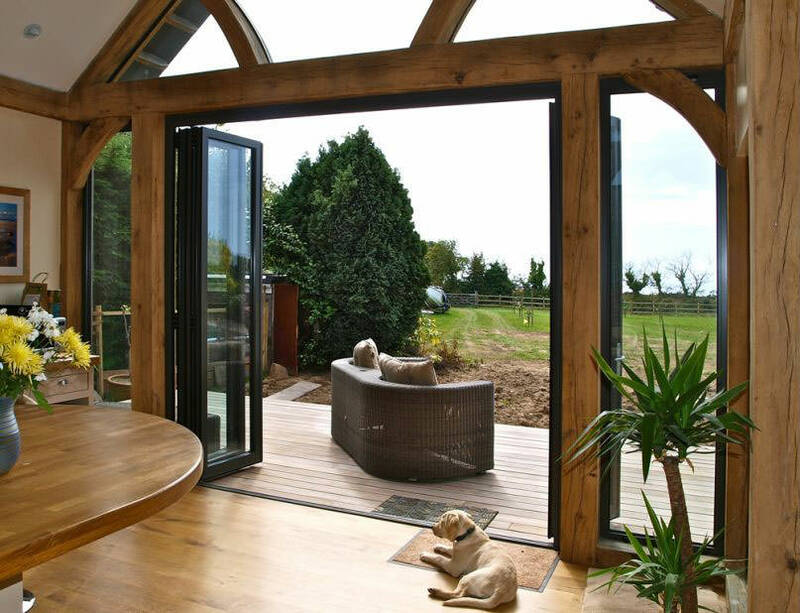 Our aluminium bi-fold doors offer an environmental benefit. The energy efficient design of our concertina styled double glazing means that they produce fewer carbon emissions, which means they are often a popular choice for your customers. Our aluminium bi-fold doors can be recycled, which helps reduce wastage and contributes to environmental wellbeing. Our double glazing is eco-friendly across a wide range of criteria and adds extra value to the installation once completed. 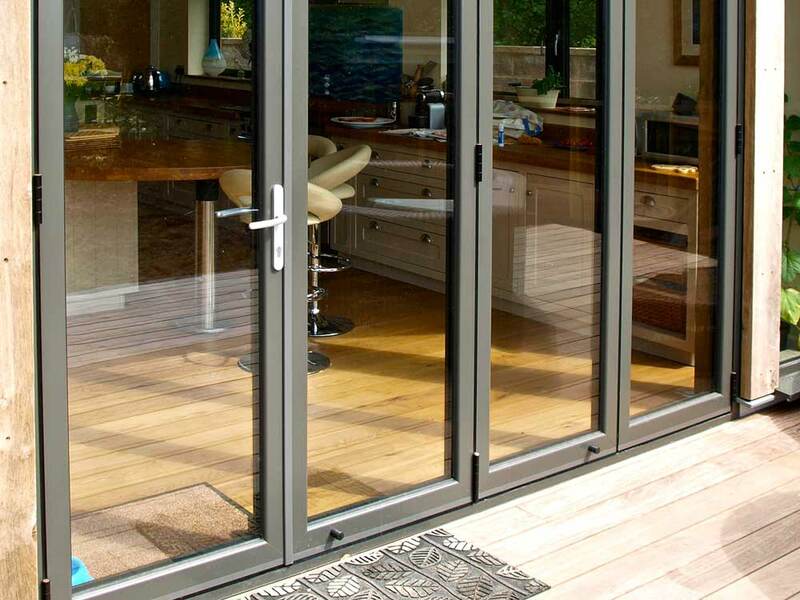 The aluminium bi-fold doors we install include market-leading locking mechanisms that will keep your home protected in almost all instances of an attempted intrusion. Our aluminium bi-fold doors are constructed from sturdy aluminium, which can repel impacts caused by the weather and people. Your installation will keep you safe in most scenarios. Aluminium bi-fold doors installed by Bluemanor will have been rigorously tested to ensure they meet PAS 24 standards, so you’ll be buying double glazing of the highest quality. Our aluminium bi-fold doors also meet the exacting standards for windows and doors defined by BSI legislation, which means your installation will meet industry-leading levels of quality. We provide beautifully designed, affordable double glazing to customers throughout Braintree, Essex and the surrounding areas. 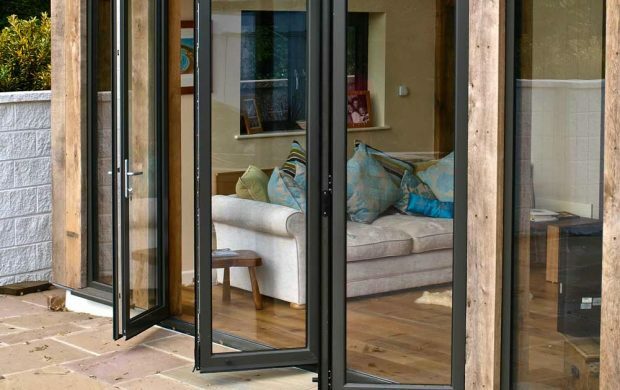 Crafted to offer maximum durability and incredible structural strength, our amazing aluminium bi-fold doors are tailored to your exact specifications. Reap the benefits of modern double glazing with Bluemanor Windows today! There are many ways that you can begin your journey with Bluemanor. Head on over to our online contact form and fill it out to submit a request to one of our specialists. You can also call us up on 01376 322 266 to contact us directly. Similarly, we offer our fantastic online quoting engine. This simple tool provides you with a bespoke quotation right here.